James Richard Vickery was born in Ballarat, Victoria, on July 9 1902. He graduated MSc in biochemistry from the University of Melbourne in 1925 having studied under Professor WJ Young. In 1929 he earned a PhD from Cambridge University where he worked in the Low Temperature Research Laboratory under Sir William Hardy FRS. He also spent some time in the laboratory of Professor TP Hilditch, FRS at the University of Liverpool. He was sent as a biologist on a scientific survey party, sent from England in 1929 at the request of the New Zealand Government, to examine and report on certain aspects of the export lamb trade. The first laboratory of CSIR devoted to the food industry was the Cold Storage Investigations Section established around 1926. It became the Food Preservation and Transport Section in 1931 with Vickery appointed as Officer-in-Charge, with a base laboratory in the Brisbane Abattoirs at Cannon Hill. Export of chilled beef to Britain was the priority objective. In 1938 the Section headquarters moved to laboratories in the Homebush Abattoirs in Sydney. Cold storage investigations, on meat and now fruit, fish and eggs, were the main activities. With the outbreak of World War 2, there arose a pressing need for assistance for a food processing industry suddenly expanded to meet the demands of the armed forces especially, from 1942, the American forces in the Pacific. The Food Preservation and Transport Section’s staff was augmented and in 1940 its status was raised to that of a division, the Division of Food Preservation and Transport with Vickery as Chief. He was increasingly called upon to advise government departments and industry on wartime food supply problems. A significant outcome of these wartime activities was the forging of close relations between the Division and the food industry. Vickery assiduously fostered these relations; he was notably liberal in allowing his staff to offer direct help to industry and as early as the 1940s encouraged them to do what CSIRO aims to do today- to help small business and to give the Australian food industry confidence to exploit innovation. Wartime activities had also revealed a dearth of technical personnel in the food industry and Vickery foresaw the need for education in food technology. He set up, within the Division, an education committee which worked with Dr RK Murphy and Dr FH Reuter at Sydney Technical College and with Mr EA Southee at Hawkesbury Agricultural College to commence the first food technology courses in Australia. Vickery encouraged his staff to undertake part-time teaching in both of these courses. Later he was for several years Chairman of the Australian Institute of Food Science and Technology Education and Course Accreditation Committee. Vickery travelled widely, visiting food research establishments in many countries, and became recognised as one of the elder statesmen of the profession. He was a member of the International Committee which initiated the International Union of Food Science and Technology (IUFoST). The Institute of Food Technologists conferred on him its International Award for 1960 for ‘outstanding efforts to promote international exchange of ideas in the field of food technology’. He was elected an Honorary Fellow of the Institute of Food Science and Technology (UK). 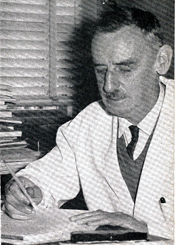 When he retired in 1967, James Vickery had the satisfaction of handing on a Division fittingly housed in new laboratories at North Ryde (1961) and Cannon Hill (1967) and with a reputation within and beyond Australia reflecting his high ideals of sound science and service to industry. James Vickery always enjoyed hands­ on activities â€” getting into makeshift gear to work in a meat freezer, candling eggs on a poultry farm, and working in the laboratory in his expert field of lipid chemistry. He returned to the laboratory after retirement and published original research on cyclopropenoid fatty acids which cause pink white disorder in eggs. The main purpose of this book is to give food technologists in industry and students in training a comprehensive review of research findings by Australian workers in government, university and industrial laboratories from 1900 to 1990. To further its aims as a reference book, detailed bibliographies of some 1400 research papers have been compiled particularly for the period prior to access of references through databases. Another aim was to draw attention to the many contributions which brought international recognition to their authors; particularly those who did not have the advantage s of modern separation, analytical and computational techniques. Food Science and Technology in Australia, A review of research since 1900 by JR Vickery. Published by CSIRO Publishing. ‘Sharp in mind and taking an interest in professional affairs almost to the end, Jim Vickery died peacefully on June 13, 1997. He was a humble and kindly man, an active Christian who lived his principles in personal, family and community life, and notably in professional commitment and enlightened administration. Without question he was the doyen of food science and technology in Australia. His death marks the end of an era which saw the evolution of this field of applied science from mere beginnings to world recognition and commercial achievement. James Vickery received several honours and awards for his contributions to science and industry and actively promoted the profession of food science and technology. He was one of the founders of the Australian Section of the Institute of Food Technologists (IFT) in 1950 and when this evolved into the Australian Institute of Food Science and Technology he became the first President (1967-69). His name is commemorated in the ‘JR Vickery Address’ which is delivered at the annual convention of the Australian Institute of Food Science and Technology. Kefford JF, 1997, ‘JR Vickery OBE, FTSE, FAIFST, Hon FIFST (UK), 1902-1997’, Food Australia 49 (8)- August, 1997.